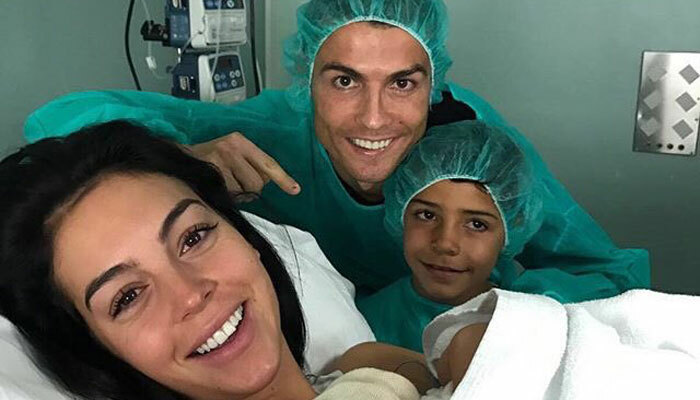 Madrid(AFP): Real Madrid star Cristiano Ronaldo has announced that he had become a father for the fourth time after girlfriend Georgina Rodriguez gave birth to a baby girl, Alana Martina. “Alana Martina has just been born! Both Geo and Alana are doing great. We are all very happy,” the beaming 32-year-old footballer wrote on Twitter yesterday, posting a photo of himself, Rodriguez, his seven-year-old son Cristiano Junior and the new arrival. his seven-year-old son Cristiano Junior and the new arrival.